Gold prices reversed directions Thursday on a Reuters report that a Greek bond swap deal could be completed over the weekend. NEW YORK ( TheStreet ) -- Gold prices reversed directions Thursday and eked out a gain on a Reuters report that a Greek bond swap deal could be completed over the weekend. Gold for April delivery closed up 30 cents at $1,728.40 an ounce at the Comex division of the New York Mercantile Exchange. The gold price has traded as high as $1,731.10 and as low as $1,706.70 an ounce, while the spot price was up $1, according to Kitco's gold index. Silver prices lost 3 cents at $33.37 an ounce while the U.S. dollar index was shedding 0.49% at $79.32. The euro gained traction against the dollar, which was helping support gold on a report that a Greek bond swap deal could be launched over the weekend. Some of Greece pairing down its debt comes in the form of a bond swap where holders trade in current bonds for new longer dated ones at a lower interest rate. Gold had been getting hammered as the threat of Moody's downgrading 17 global and 114 European financial institutions propped up the dollar as the safe haven of choice. Gold's reversal then also triggered any short covering -- where traders buy back previously sold positions. "No one really wants to be short in front of differing headlines minute to minute from Greece," says George Gero, senior vice president at RBC Capital Markets. Greece is still in limbo waiting to receive approval for its second bailout. Eurozone finance ministers are reportedly meeting on Monday to discuss the deal. Rhind admits that gold needs some kind of catalyst and is somewhat on the sidelines right now. However, Rhind believes that the trend of low interest rates and worries over inflation will continue to support the metal. "If we get into a situation where global growth slows again like we saw a the beginning of last year we may get some intervention certainly here in the U.S. from the Fed in the form of quantitative easing round three." Whether the Fed will launch another round of quantitative easing is a hot debate, and not made easier with the latest FOMC minutes. A few members said that low inflation and high unemployment could warrant more asset purchases while others said it might only be necessary if the economy lost momentum. Consistent better than expected U.S. data and a falling unemployment rate have raised the speculation that the Fed wouldn't need to pump more money into the system. Today jobless claims fell near a four-year low of 348,000, but Greece is the wild card and the Fed seems committed to fighting of any contagion. The uncertainty, however, was playing out in the currency market and gold as the dollar moved steadily higher. Gold also was digesting a mixed global demand picture. In the World Gold Council's 2011 Gold Demand Trends report, total gold demand was up just 0.4% to 4,067.1 tons. Indian demand suffered as the rupee was pummeled by the dollar. Jewelry demand was down 44% in the fourth quarter, 14% for the entire year. Bar and coin demand was up just 5% in 2011. The country still consumed 933.4 tons of gold in 2011 and coupled with China generated 55% of global jewelry demand and 49% of global demand. For now China is making up for slowing Indian demand. The country consumed 769.8 tons in 2011. Jewelry demand was up 13% and investment demand grew to more than 250 tons. But the worry is if Indian demand slows, Chinese demand won't add the extra boost it has been to the gold price. "Growth in Chinese demand is more than picking up the slack in Indian demand," argues Marcus Grubb managing director at the World Gold Council. China's demand grew 20% in 2011 and Grubb says it will grow by another 20% this year while Indian demand will most likely be flat or down. "What you have seen with China is it has come from a market that didn't really matter to now importing over 400 tons a year." 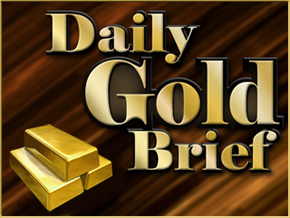 Grubb expects the country to consume 930 tons of gold this year matching India's demand. China deregulated its gold market 10 years ago and has some catch up to do with India. Grubb thinks it would take the country 5 years. "The stock of gold held by Indian households is more than twice the stock in China at 18,000 tons vs. 9,000 tons or 10,000 tons." While China has some pressure to keep buying gold, investors - those on the futures market and those who buy the ETFs - have their work cut out for them as well. The OTC demand fell for the first time since 2008 down 7% and ETF inflows were only 154 tons, less than half of 2010. "It was a very checkered year of selling gold by institutions and professional investors in the latter part of the year," says Grubb. "The growth rate in ETFs has definitely flattened out." Grubb says for the ETF market to grow there needs to be a deeper and broader ownership of gold. Currently not even 1% of monetary assets are invested in gold. Gold mining stocks were higher Thursday. Barrick Gold ( ABX was up almost 2% at $48.36 while Randgold Resources ( GOLD - Get Report) was 0.37% higher at $111.77. Barrick reported fourth quarter earnings this morning of $1.17 a share, which was below expectations, on revenue of $3.79 billion which beat estimates. The biggest gold miner in the world produced 1.81 million ounces at cash costs of $505 an ounce and expects to produce between 7.3 and 7.8 million ounces in 2012 for $520-$560 an ounce. Barrick is trying to grow production 20% in five years from 7.5 million to 9 million ounces. Other gold stocks, Goldcorp ( GG - Get Report) was soaring 5% to $47.57 and Eldorado Gold ( EGO - Get Report) was rising 2.40% to $13.68. Goldcorp also reported earnings making 66 cents a share on revenue of $1.52 billion, both better than expected. The company produced 687,900 ounces in the fourth quarter at cash costs of $529 an ounce. Goldcorp reiterated its 2012 guidance to grow production by 4% to 2.6 million ounces with cash costs of $550-$600 an ounce. The company hopes to grow production 70% in 5 years to 4.2 million ounces.